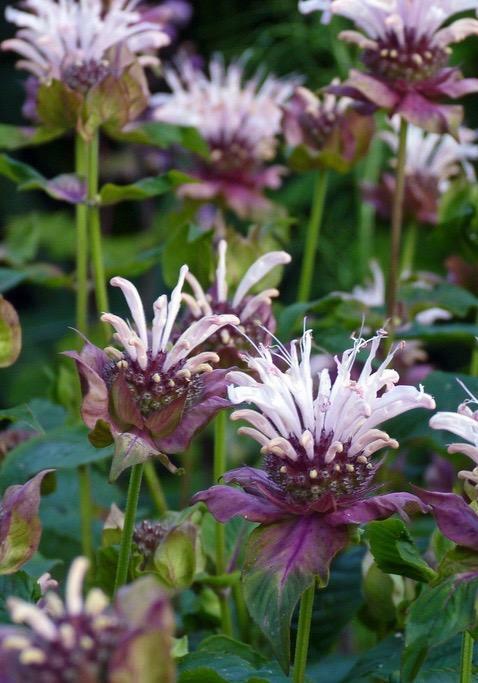 Wonderful perennial with lemony aromatic bergamot foliage. Dark purple bracts, pink petals and excellent for butterflies and bees. 90cm tall. Sun and good moist soil.